Hiring is a very hot topic in the veterinary industry. A lot of veterinary practices are always looking for new vets or vet techs to hire some even for years and are facing trouble when it comes to hiring new talent for their veterinary practice. 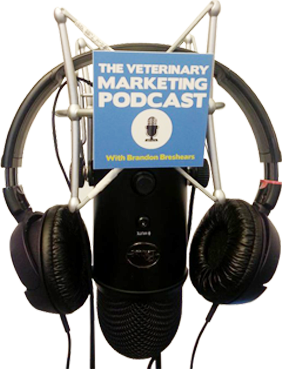 This week on the podcast we have a special guest Jesse Thomason who we speak to about how you should be marketing your veterinary practice or even your own personal brand for the purpose of hiring. The first thing you should keep in mind if your practice is looking for new vets and vet techs is your practice needs to be a good work environment with a great team that people are going to want to work in your veterinary practice. Creating flexibility in your practice will also be able to help get new employees in. Live goes on outside of work and sometimes life and work can conflict with each other creating flexibility will show your vets and vet techs that they don’t just have to choose one aspect of their life you can work and also be able to still do other things they enjoy. When creating your content for either your practice or in the case of personal branding be sure that your content that you are putting out is both valuable and authentic. And is for both consumers and also with the intent of hiring. Using the right platform is also important. if you want to see job listing or post job listings LinkedIn is a great platform to use. Building a community of other vets or vet techs is great to do on both Facebook and Instagram.